When the sun starts setting earlier and the weather feels crisp and cooler, then you know autumn has definitely arrived. And for me, this time of year always has associations with delicious soups. Especially orange coloured soups made with carrots, sweet potatoes and pumpkin that reflects the golden hues of the leaves changing colour on the trees. While there’s nothing more delicious than a crunchy salad in the summer, it doesn’t always have the same appeal on a chilly autumnal day. We are then more inclined towards warming comfort food. And what could be more warming than a tasty bowl of hot soup? It’s the ultimate comfort food and what’s more, a hearty vegetable soup is nutritious too. So in celebration of this mellow, golden time of year I thought it was time for a special giveaway of a Nessie Ladle and Herb Infuser. 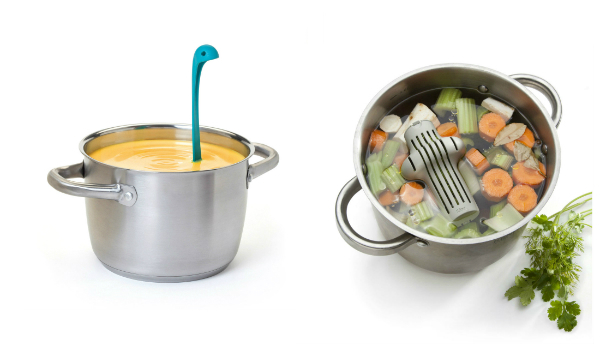 Two essential accessories – with a twist – to help you make and serve your own tempting soups. 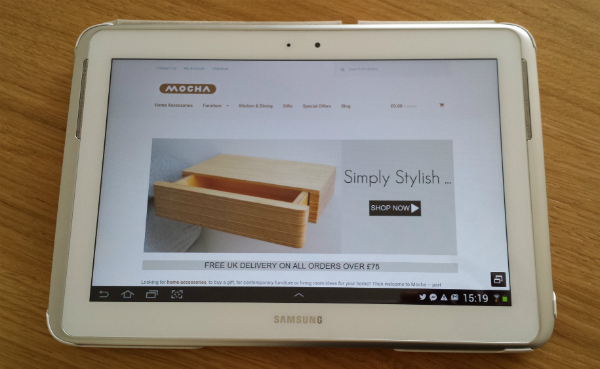 It’s now faster, easier to use and mobile responsive too – making it easier to browse and buy from your phone and tablet. But this is just the start. There’s still much more to come including new products and some changes on the blog. You may not know this, but my original background is in PR, marketing and writing. And well as working on Mocha, I also work on a freelance basis with other creative companies. 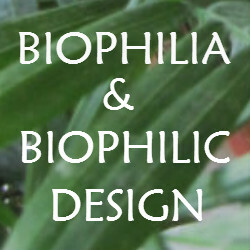 For a long while I had an idea to start a website specifically to help other designers / makers who want to grow their own businesses selling products online. 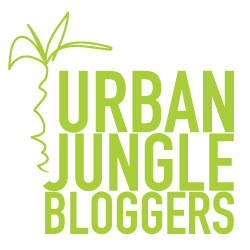 And for bloggers who would like to turn their passion into a career. And now I’ve finally realised it with the launch of Freedom To Make. So if you’re a creative entrepreneur (or would like to be), then please check it out. And if you know any other designers, makers or bloggers, please pass this onto them. 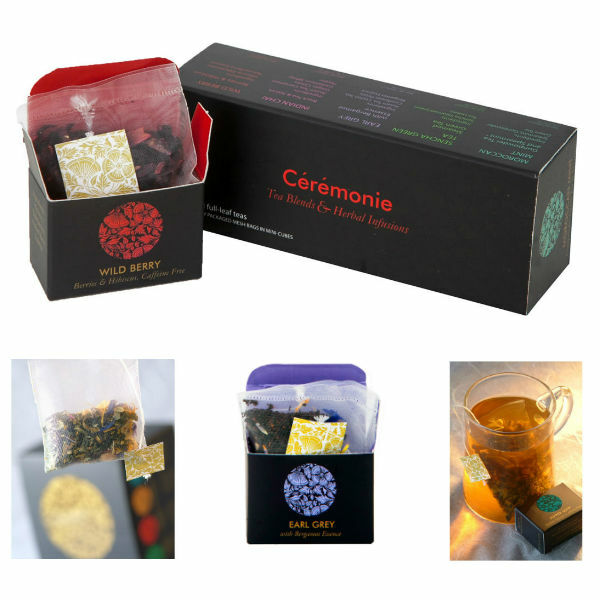 Cérémonie Tea Blends and Herbal Infusions are a new luxury tea experience. These all natural full-leaf teas come packaged in signature Mini Cubes. All individually wrapped to retain freshness and flavour. And inside each beautifully crafted package is an exquisite mesh tea bag that is bursting with the bold taste of whole leaf tea, fine herbs and spices. Have you ever tried to separate the white of an egg from its yolk? If so, you’ll know what a messy business it can be trying to juggle the yolk between two eggshell halves. But now there’s a new accessory that not only makes it easy. It also makes it fun! 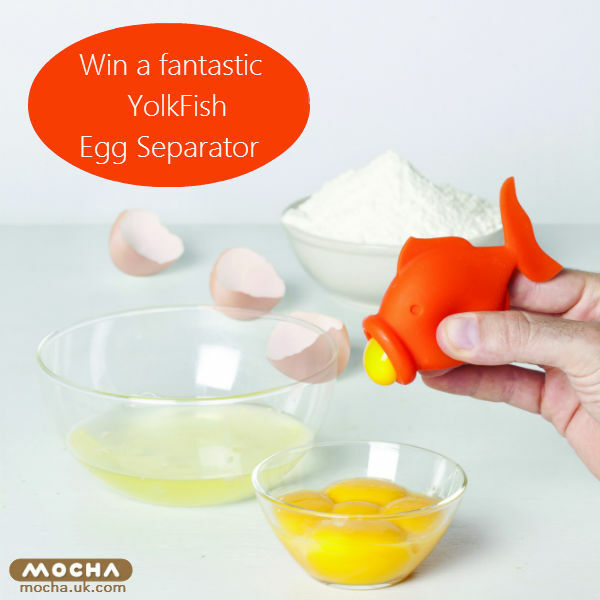 YolkFish is a clever egg separator. Designed by Peleg Design, it is shaped to look like a cute kissing fish. On a cold winter evening, one of those simple pleasures is to snuggle up on the sofa – wrapped up in a cosy throw – with a good film or book. 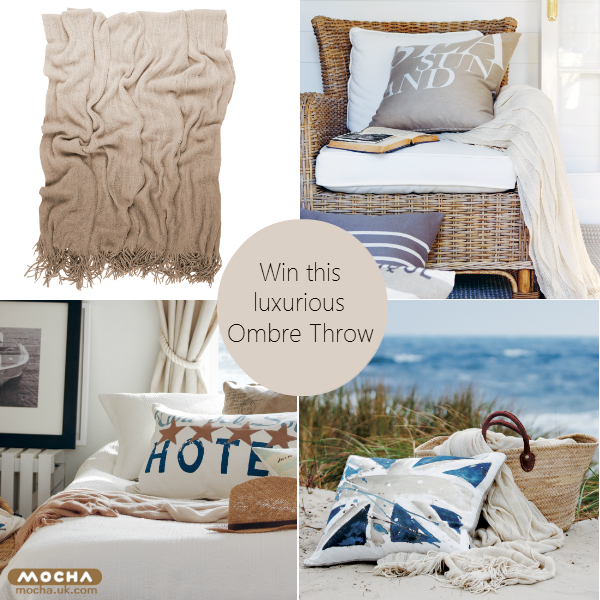 This luxurious Ombre Throw would make the perfect accessory for that, don’t you think? 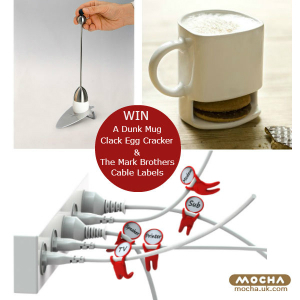 The Dunk Mug, Clack Egg Cracker and the Mark Brothers Cable Labels are three of our best-sellers – and it’s not hard to see why. Who doesn’t enjoy some biscuits with their tea or coffee? A boiled egg is probably one of the ultimate comfort foods, but slicing the top off the egg can be a challenge. And at one time or another, who hasn’t pulled out the wrong plug in a tangle of wires? With the festive buzz in the air, I thought you might enjoy a very special giveaway with a chance to win all three. Would you like to try and win them? Entering is very easy. The festive season should be one of the most enjoyable times of the year. 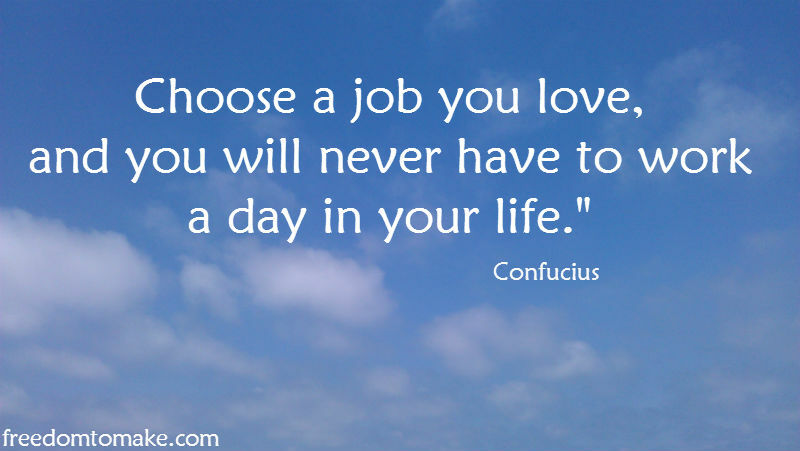 But with so much to organise it can often be an overwhelming and stressful time. 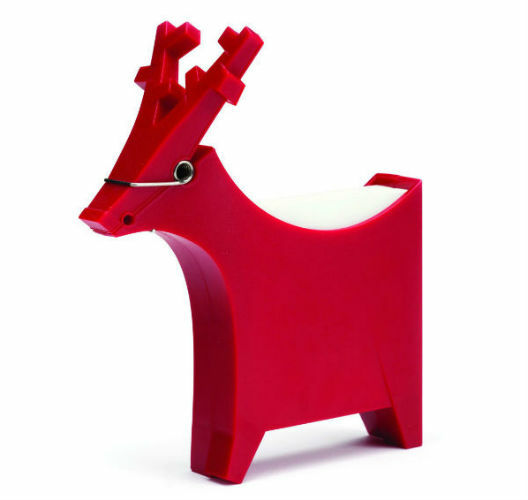 And though choosing Christmas gifts for family, friends and work colleagues should be a fun and pleasurable activity, it may feel more like a daunting task. There are many benefits of drinking water. It helps keep your skin moisterised and looking healthy. When you’re working, it enables you to concentrate and think better. And it helps your kidneys to flush out toxins from your body. 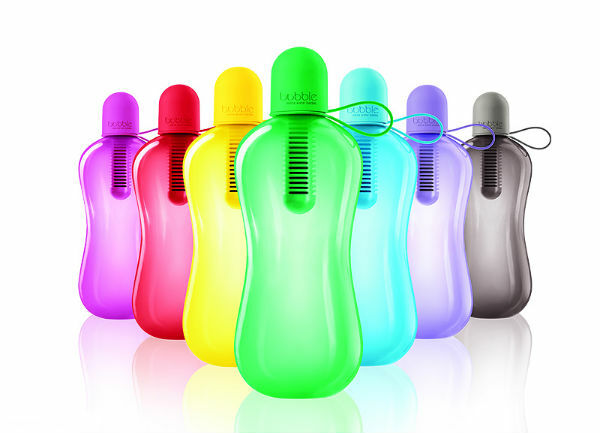 Drinking water also helps keep your muscles energised and your joints strong and flexible. Brightly designed tea towels are just the thing for making washing up more fun and to brighten up your kitchen. 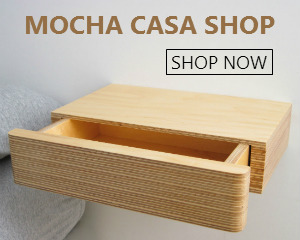 They also make great decor accessories to decorate your kitchen walls. The ‘Lettered’ range of tea towels is a contemporary take on vintage style. The striking typography has been inspired by 20th Century wartime typographic posters and letterpress. 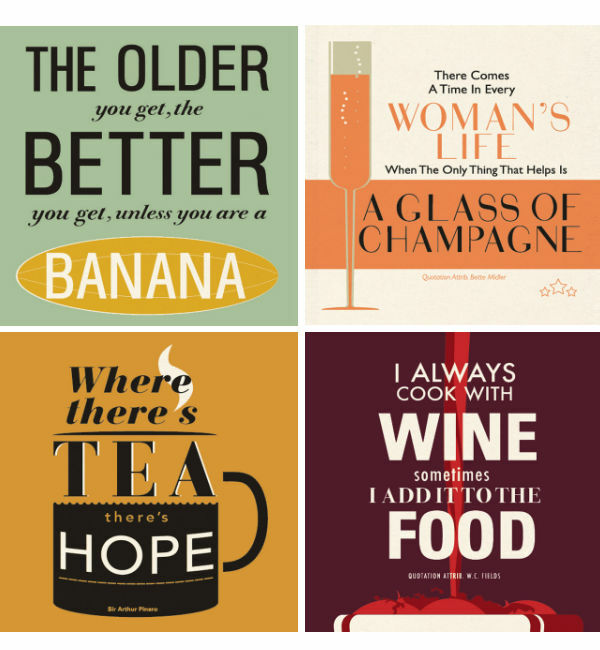 Each tea towel also features a quirky and amusing quote, which can’t help but make you smile.